If you believe in the potential of some of your co-workers, send them to Brussels for two days to boost their career and knowledge! Our format puts them in the centre of the learning experience to help them acquire a vision to drive meaningful changes across your sales house. » The ideal candidate should be active in the sales, pricing or marketing department working with VOD platforms and strategies. » He/she should have the authority to suggest and implement change as a result of this interactive training session. » The candidates should have a deep knowledge and understanding of their company’s VOD strategy, structure and priorities. 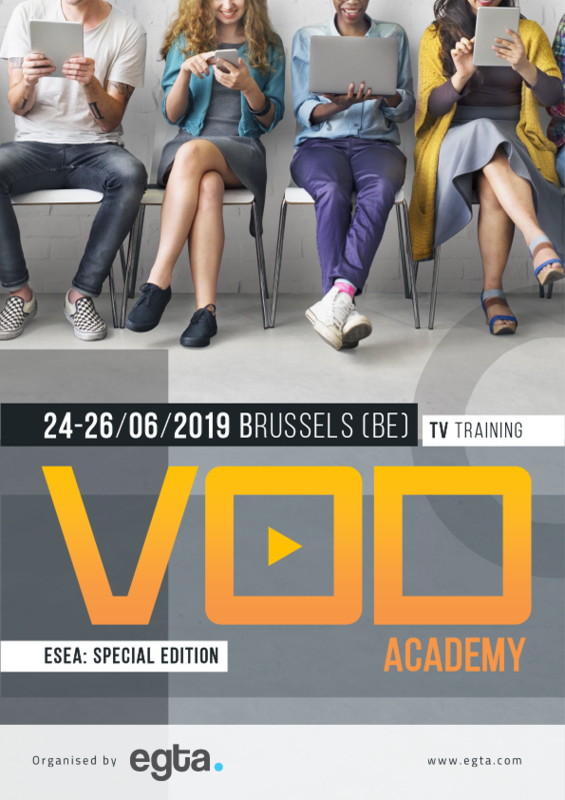 This three-day training will give participants the opportunity to learn and exchange about all challenges linked to the monetisation of their channel’s VOD and catch-up inventory. From sales and pricing methods, to the technological aspects or the sales house structure, the in-depth discussions and insights they will be provided with at this training will be foundation-laying and horizon-broadening for any executive involved in the video strategy for their company. This training is designed as an interactive format. Participants will not only learn from expert speakers but also from each other, thanks to an exchange of best case studies and in-depth discussions. Our mentor for the three days of this programme is Maarten Albarda. Maarten brings over 25 years of experience in the ad industry with him. Please consider that this is a self-financed project, with a limited number of participants. If a participant therefore cancels his/her participation in a short delay before the start of the Masterclass (up to 3 weeks), the fee for the training still has to be paid. Of course, as much as possible, egta will always try to find a solution by reaching out to other egta members and find a last minute replacement. If such replacement is found, the invoice can be cancelled. If not, the outstanding invoice will have to be paid by the participating company for whom the seat had been kept in the first place.